1. Choose vegetables that are fresh, firm and free from signs of decay and in season. 2. Wash vegetables before cutting them into small pieces, not after, to conserve the healthy nutrients which are abundant in them. 3. Cook vegetables soon after cutting them up and use only a small amount of water. When cooking vegetables in water, add them when the water is rapidly boiling. 4. Cover the cooking pot so as to retain the natural color, flavour and texture of the vegetables. 5. 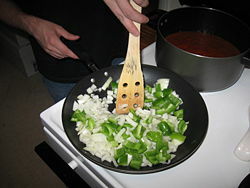 Cook vegetables until just tender and stir only when necessary. 6. Use water in which vegetables have been cooked for soups and sauces, whenever possible. 7. Serve the vegetables very often to get the most food value from them. Now when you get the most from your healthy vegetables you’ll not only getting all the vitamins and nutrients but you’ll also get some savings. We must always remember that it’s cheaper to have meals that contains vegetables rather than meat. It’s combining nutrition with economy don’t you think?